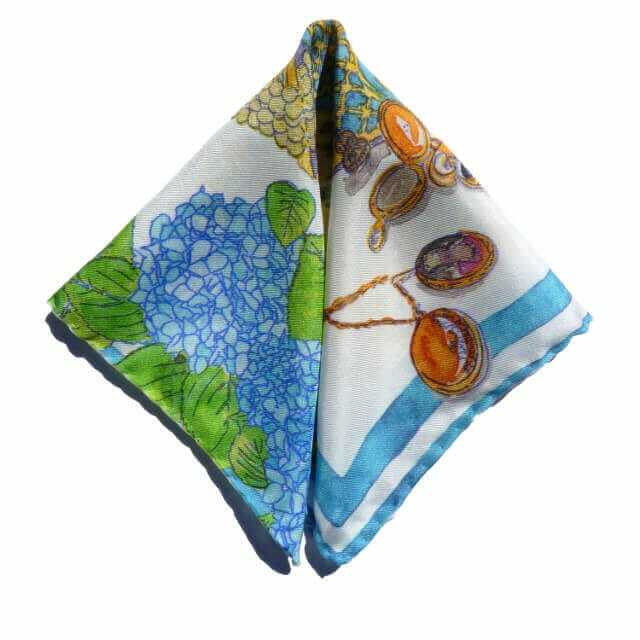 The “Grandma's Jewels” design is part of the “Life Laundry Collection” developed from Emily May's love of narrative and storytelling. 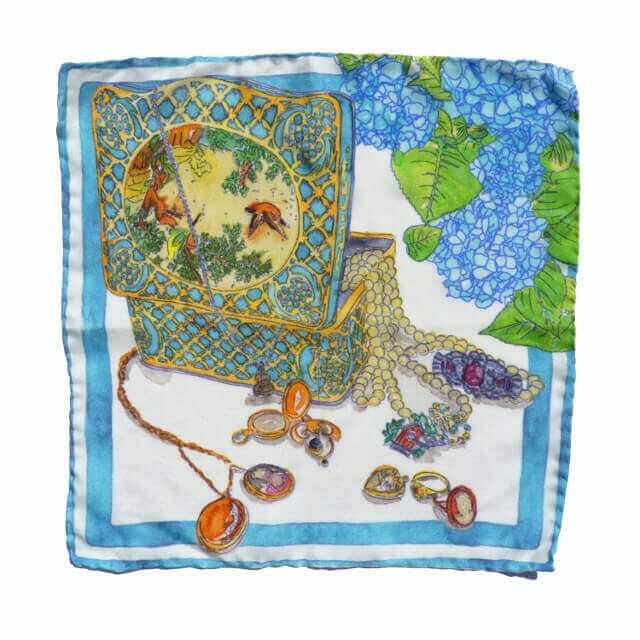 Illustrated in watercolour and digitally printed onto silk twill within the UK. 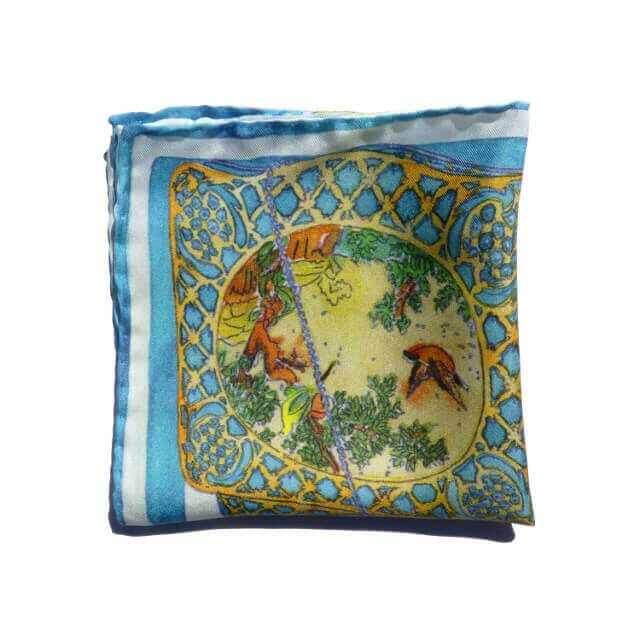 This silk square measures 30x30cm and is perfect for a gentleman’s pocket, accessories a handbag, or looks lovely tied around a wrist. 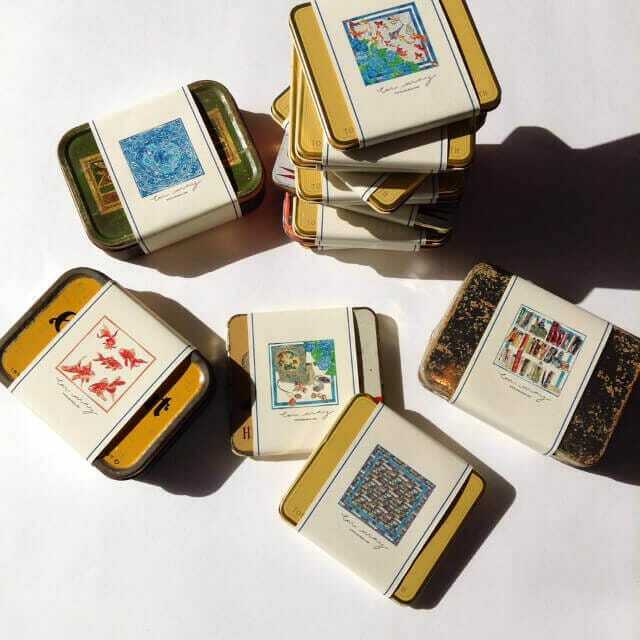 Each pocket square comes beautifully wrapped and presented in a vintage tin. Tins will vary. 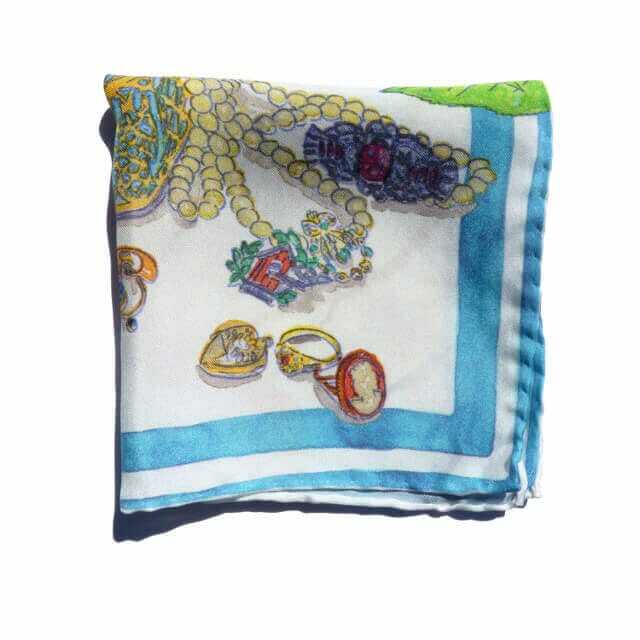 The ‘Grandma’s Jewels’ design is part of the ‘Life Laundry Collection’ developed from Emily May’s love of narrative and storytelling. The collection is based around illustrating objects with a familiarity and history that speaks to everyone. This features an illustration of the the tin where the artist’s grandmother kept her treasures.